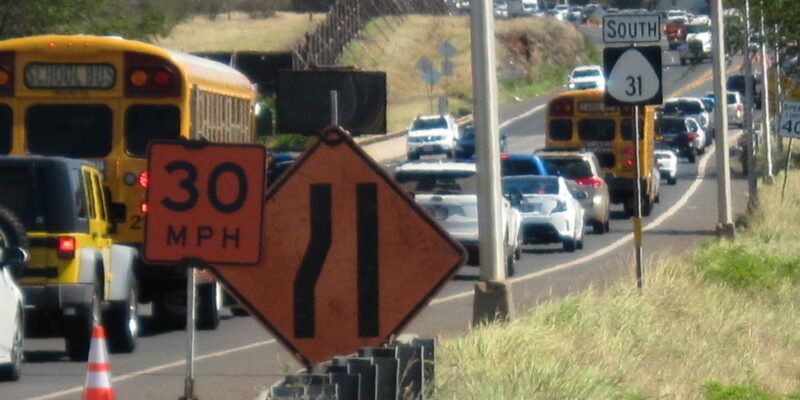 Yesterday afternoon just before 3: 00 PM, we noted a continuous flow of vehicles in both directions along South Kihei Road (SKR) in the entire section of the unsignalized roadway between Pi’ikea (the last traffic signal), and North Kihei Road. It was flowing but halted when a car stopped to turn left, and then resumed to flow. At about the midway point, we checked Kaonoulu, noting cars backed up in both directions trying to access both SKR and the highway. 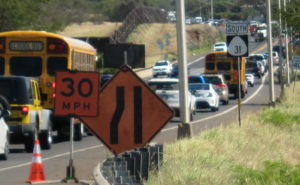 Reaching the highway, southbound traffic was barely moving, as construction demands for the future high school only allowed a single lane. Dreams of the North-South Collector Road continuing south from Kaonoulu flashed in our imagination, but alas that may be a decade away. The Pi’ilani bypass road mauka? Count the decades. PreviousDo You See the Crosswalk? Watch This Space for One Soon. 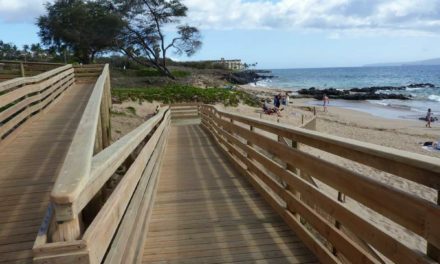 NextDoes South Maui Get a Fair Share in the Annual County Budget? You Decide!